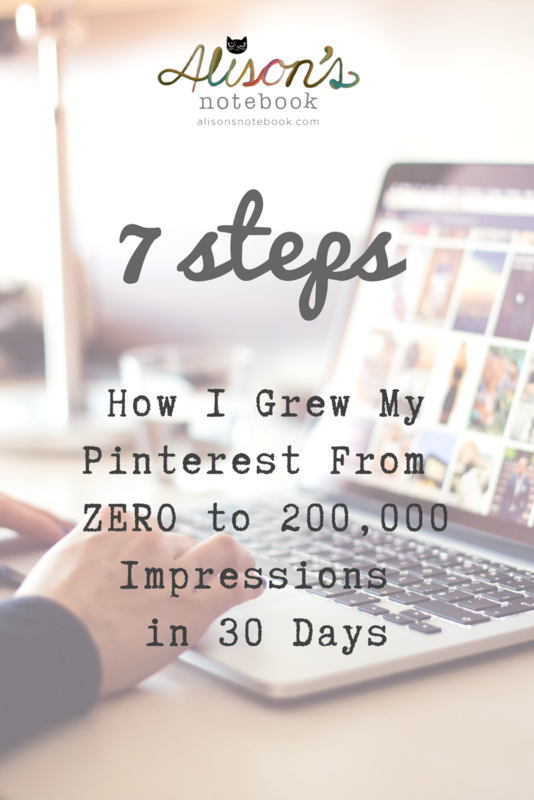 Late in June, I decided to start seriously marketing my blog, and in this post I’m sharing exactly how I grew my Pinterest from almost zero impressions to over 200,000 in exactly 30 days. The steps in this post aren’t necessarily the best for newbies. You’ll want to 1) have a Pinterest business account and 2) make sure to verify your website before you get started. If I get enough interest, I’ll create a follow up post just for newbies and I’ll link it here. I hired a coach to work with me, Chelsea from HerPaperRoute, and I worked with her on a mentor-ship basis for a few months. 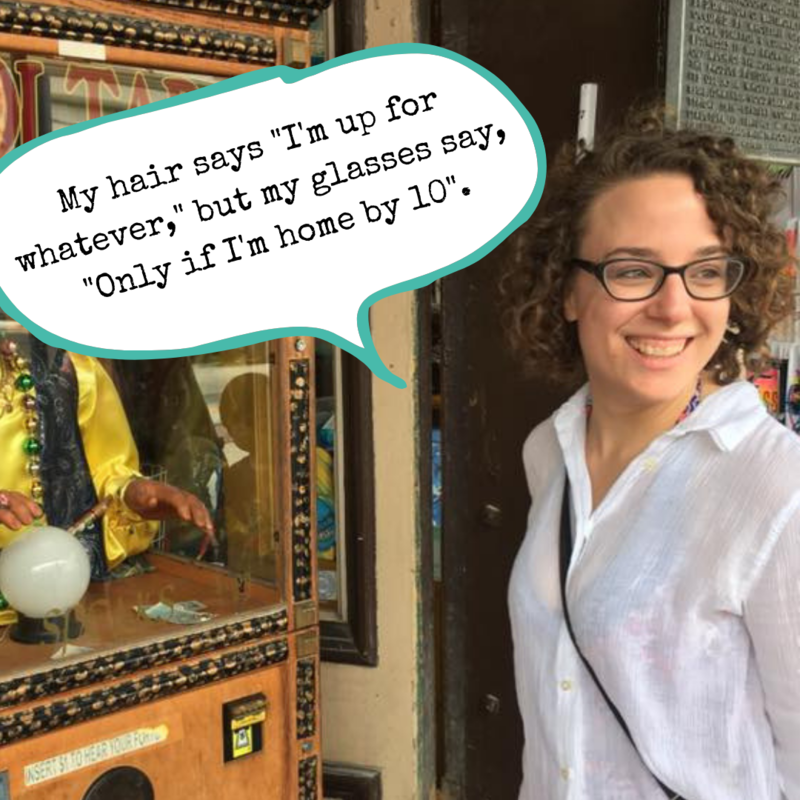 She taught me how to monetize my blog and build up traffic to it. I’m still working with her, but I’ve made a lot of progress! At the bottom of this article, you’ll see a link to a strategy session with me. I’ll review your Pinterest page and answer any questions you have about implementing the steps below for your Pinterest account. That said, if you’re looking for a more comprehensive course on blogging and monetization in general, Chelsea is your girl. The first four steps out of these 7 steps are foundational. What I mean by “foundational” is that these things may not result in immediate growth, but if you’re going to see growth later, these things are non-negotiable. And the first foundational step involves making it easy for people to find you and your Pinterest account. Don’t hide your social media presence! 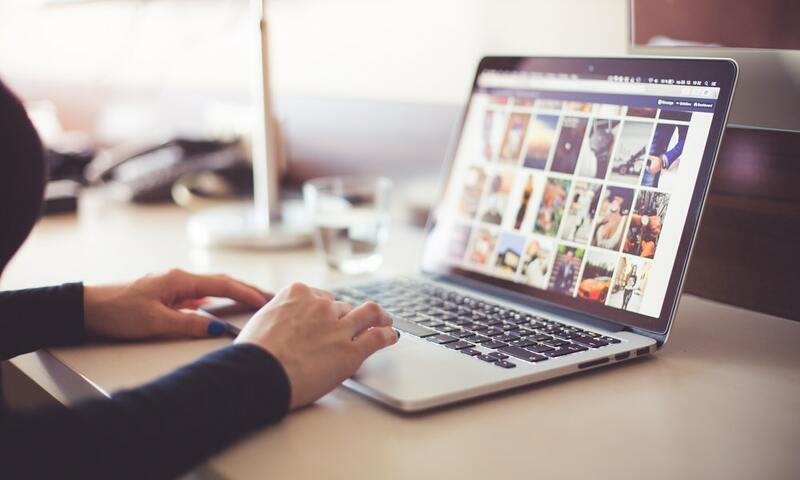 Make sure that your website makes it ridiculously easy for people to find you on social media, especially on Pinterest. I use WordPress.org for my website, which makes it really easy to add new plugins and functionality to my site. The plugin I use that to show my social media icons is called “Social Media Follow Buttons Bar”. Its easy and lite and I definitely recommend it. Next, make sure its incredibly easy for people to share your blog posts—don’t hide your share buttons at the bottom of your post! Put them in the sidebar, or at the top of each post so that someone doesn’t have to search when they’re trying to share. This foundational tip comes into play big time in step 7, since you’ll be asking a lot of people to share your pins. Don’t make it hard for them. I can’t stress this tip enough. When my coach first pointed this out to me, I didn’t realize the importance of making my posts easy to share. And now when I see websites where I have to literally HUNT for the share buttons, I feel so frustrated! People aren’t going to try very hard to find ways to share your posts—make it dummy-proof. The next thing you’ll want to do is create pins for every post. I go ahead and just add the pin in the post because I think it looks nice to have a giant, informative on-brand image in my post. There are also ways to embed the image intro your post so it doesn’t show on the front end if you want to get fancy. Impprtant: When you’re creating your pins, make sure they are on brand. I use a FREE tool called Canva.com for all of my pins, BUT…be careful. Many people use Canva and their templates, so you’ll want to make sure your pins represent YOUR brand. Use the colors, fonts and styling that are consistent with the appearance and messaging of your blog. This relates to step #2, but make sure that your pins are easily shared. i downloaded another WordPress plugin called “Pinit” that puts a tiny Pinterest share icon at the top of my blog posts. Step 5 is where we enter the pro-tips. You might have heard this tip before, but when you’re first getting started, it seems impossible to get accepted to any group boards. It can also be difficult to FIND relevant group boards to join. The bottom line is that group boards, regardless of what you hear Pinterest and others saying about them, are a great way to build a distribution network. When I started this journey recently, I heard a lot of people saying that group boards were dying, and that Pinterest wasn’t rewarding group board activity anymore. Say what they will, but I’m very new to this game and saw group boards as a crucial part of my growth strategy. Using the search bar, search for keywords related to your niche. Change “all pins” to “people”. Click on their profile, and see what group boards they are in. If there is one in your niche, read the instructions for joining, and then reach out to the board owner. Tailwind is an amazing tool. I pretty much only use it for pin scheduling, which isn’t that useful until you have a few group boards you’re a part of. You can try Tailwind for free using my link! Lastly, you’ll want to join as many Facebook groups as possible. You want to look for groups that deal with supporting bloggers, or specifically to Pinterest. There are many groups like this that encourage daily sharing and re-sharing, and this will help your pins show up in more boards and searches. I’m building my traffic, and I’m jazzed about it. I’m so jazzed in fact…that I think I can help others like me that have been trudging along, looking for an easier, more systematic route. 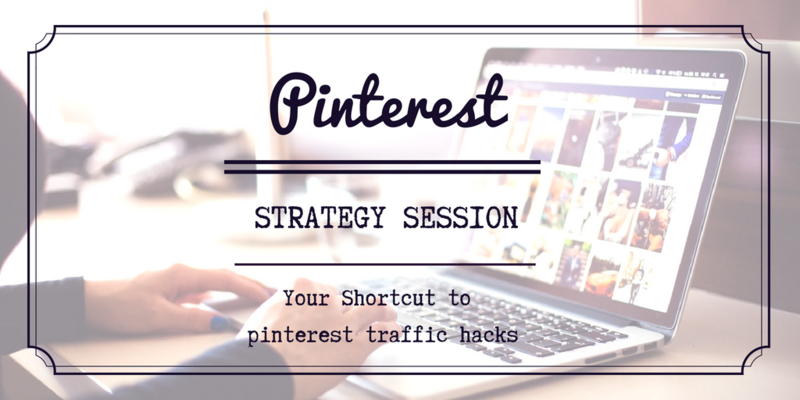 If you’re interested in fast-tracking your Pinterest success, book a strategy session with me! I’ll audit your blog and your Pinterest account, and give you some pro-tips on how to implement the steps in the post.